Can be dry or wet hired, enquire within. The system supports single- or dual-operator control. In single user (Majestic) mode, the system’s software intelligently differentiates unwanted shake or vibration from intentional movement, such as panning, while keeping the horizon level. Alternatively, you can have a dedicated operator (Stabilized Slew mode) with a remote control or RC transmitter who is in charge of camera pan, tilt–and if you want–roll. In this configuration, the camera will always point where the operator of the remote tells it to, independent of how the rig operator moves. As with sled-style stabilizers, the camera should be balanced on the MOVI to ensure best performance. Once balanced, the MOVI pairs over Wi-Fi to an iOS, Android, or Windows app to finalize the configuration process. Two lithium-polymer (LiPo) batteries and a charger are included, as well as a quick-release top handle for low-angle shooting or transporting the assembled rig on set. The MOVI M15 is designed to support payloads up to 15 pounds, making it suitable for professional cinema cameras with cinema lenses, as well as smaller DSLR cameras. Cameras that have been tested on the system include the ARRI Alexa M, Sony F5/F55, RED Epic/Scarlet, Canon C500/C300/C100, Sony FS700 (with limited choice of lenses), and the Blackmagic Cinema Camera / Production Camera 4K. Because the weight of your camera setup and the M15 is supported by your arms, the M15 is built to be as light as possible to keep while maintaining structural rigidity and robustness. The MOVI can be operated remotely either with a dedicated controller or using an RC aircraft transmitter (hand-held radio controller). It supports Spektrum DSMX and Futaba SBUS transmitters with at least six channels, including the Spektrum DX7s. Wireless range will vary depending on the transmitter used. Slew Stabilized Mode: For dual-operator control. In this mode an operator with a dedicated remote or RC transmitter controls pan, tilt, and roll independently of the gimbal handler’s movements. The gimbal uses a GPS-assisted IMU that when used outdoors with available satellite signals is able to minimize drift even when under acceleration–such as where the camera is mounted on a UAV or vehicle. The motors driving the gimbal have been designed to operate as quietly as possible to ensure you will be able to record sound without picking up any unwanted noise. Making hundreds of adjustments per second, the software works to counteract translation–the bobbing up and down effect while running–when tracking a moving subject moving at high speed. In this situation, translation may be unavoidable, but at least the subject will remain in-frame. Keeps a record of the camera position (where GPS is available), height, camera pan, tilt, and roll so that the shot can be recreated later or to help Visual Effects align the live action shot with other elements in a CG composite. 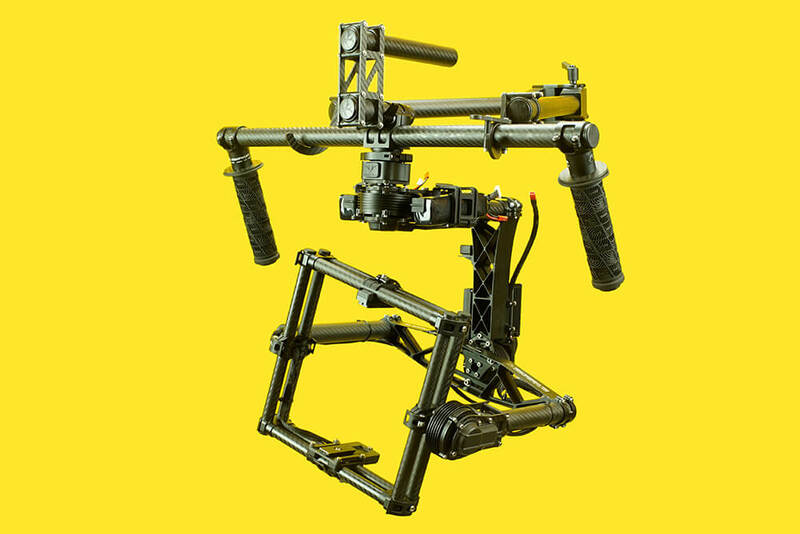 Using separately available mounting hardware it is possible to mount the MOVI on cranes, jibs, Steadicams and similar vest-supported stabilizers (where it corrects for angular error), and other camera support hardware. It has also been verified to work on an Easyrig. You can upgrade the gimbal to new software features as they are released by Freefly yourself, without having to send the device in for a factory update. The MOVI system uses motors that were custom made for the gimbal rather than re-purposing off-the-shelf parts. Want an organic hand-held look? The MOVI provides variable noise filters that allow you to effectively dial in a custom amount of shake to help you achieve the effect you are after.